Cost to rent a dumpster varies greatly by region (and even by zip code). Get free estimates from container and dumpster professionals in your city. Cost to rent a dumpster varies greatly by region (and even by zip code). Get free estimates from container and dumpster professionals in your city. The cost of renting a dumpster is $530. 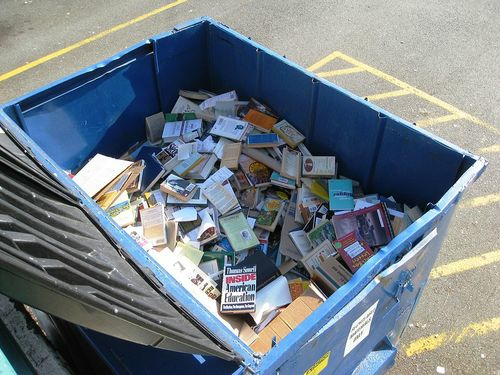 Most dumpster rental services will accommodate you if you need to use the dumpster for longer than you planned. Fees start around $5-$10 per extra day after the end of your contracted rental period. How much is it to rent a dumpster? The cost of a dumpster rental will vary based on the size of the dumpster and how long you need it. The average cost is around $530 for a 20-yard dumpster kept for ten days. How much does it cost to rent a 30-yard dumpster? The average cost of renting a 30-yard dumpster is between $430 and $520. How big is a 20-yard dumpster? A 20 yard dumpster is big enough to clean out a medium-sized home, and has a load capacity of 20,000 pounds. 1 Asbestos: A group of fire-resistant silicate minerals found in construction materials including paint, particularly in older homes. When the asbestos deteriorates, particles can become airborne and this is a serious health hazard. How much does it cost to rent a dumpster in my city? Cost to rent a dumpster varies greatly by region (and even by zip code). To get free estimates from local contractors, please indicate yours. A new “FAQ” section can be found at the end of the cost guide, where you can find information that may not be found in other sections. We have also added an image of the project and a summary at the beginning with the cost of renting a dumpster to help the user better understand the project. Cost Considerations: Asbestos removal costs an average of $200 to $400 per hour. A hydrocarbon gas used as a common fuel source. Cost Considerations: Heating systems fueled by propane are considered quite economical. The cost of electric heat is more than twice the cost of propane. 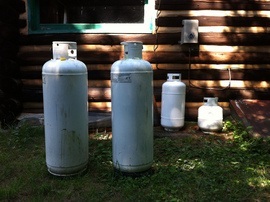 Propane is considered safe, clean, and dependable.